Kennedy Space Center is partnering up with Armstrong Flight Research Center, Langley Research Center, and Space Florida for program called Sonic Booms in Atmospheric Turbulence, or SonicBAT II. NASA is designing a special super-sonic jet that will carry passengers over land at speeds greater than that of sound. It's special because the design will allow for, "quiet" sonic booms, which they say will not disturb the public like the explosive shock waves experienced in traditional sound-barrier breaks. They will test this quiet boom this week in Galveston if the weather cooperates. GALVESTON — In 1973 the FAA banned over-land supersonic travel, determining sonic booms created when an aircraft travels faster than Mach 1 are too disturbing to the public and livestock -- and even potentially window-breaking. This meant the famed Concorde could only travel at full speed over open oceans. While you could get NY to London in 3.5 hours aboard that famed jet, it still took over 6 hours to get from NY to LA in a traditional aircraft. This will soon change if NASA's test is successful, leading to the completion of the design of the first-ever overland supersonic jet! 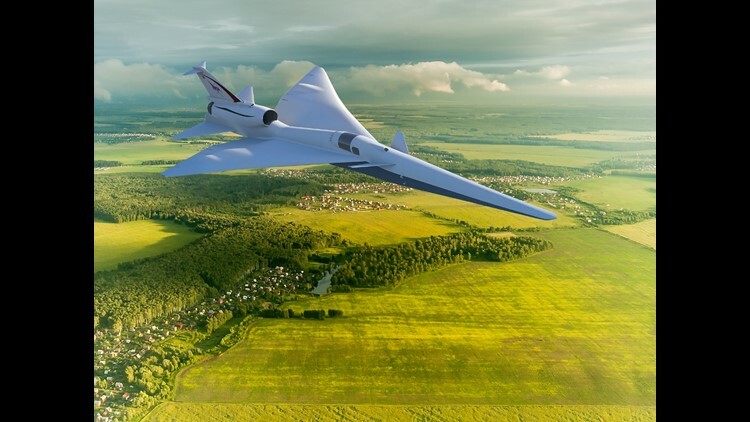 NASA is designing a low-boom, "quiet sonic boom" passenger jet designed to fly over land without disturbing those below. 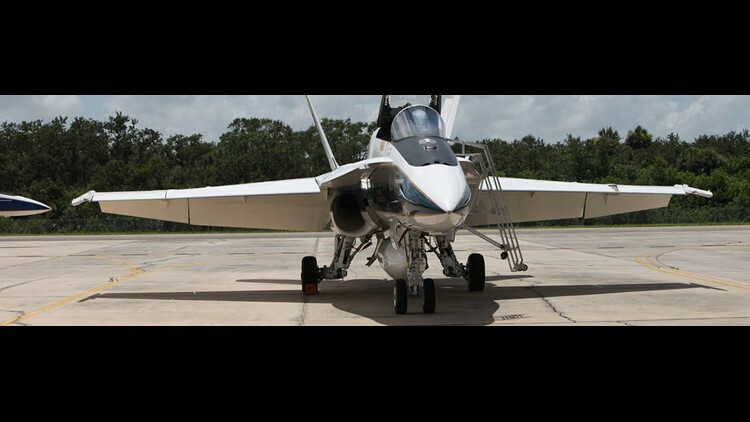 This Friday in the waters off of Galveston, NASA will test this, "quiet sonic boom" using an FA-18 fighter jet specially appointed to NASA. They will mimic the low-boom of the new jet by diving-bombing toward the water at 50,000 feet instead of achieving greater than mach-1 speeds horizontally, as military often aircraft do when traveling in war zones. 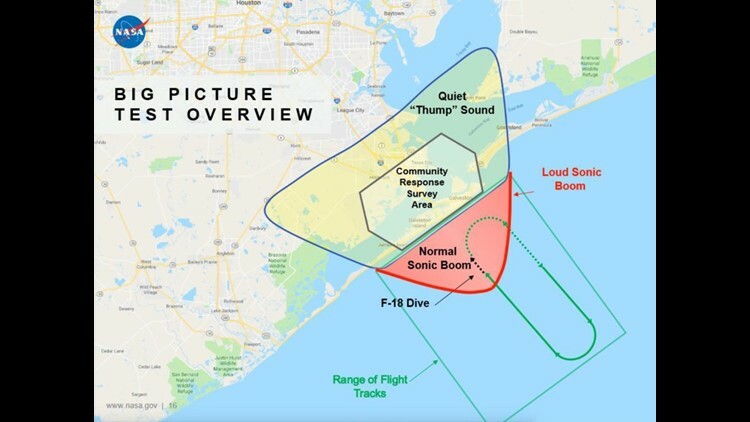 This is the path an FA-18 fighter jet will take in creating, "low-boom" sonic shock-waves to test the effects on the public in Galveston. As they slip past the speed of sound in their descent, the vertically-oriented sound barrier boom will closely resemble that of a car door closing -- mimicking what the design of the proposed jet would produce over land. Their X-59 prototype will pave the way for larger models that could carry people from NY to LA in about 4 hours, or from LA to NY in a bit more than 3 hours. These time-saving effects will be even greater for international routes when the hours saved really add up. Here in the Houston metro we are quite literally getting a front row seat to the future of commercial aviation. According to public feedback on Galveston's Facebook page, mixed reaction suggests NASA may have some work to do. One wrote, "My whole house shook and rattled twice this morning. Scared me." Another commented, " I heard the "quiet thump" this morning. It's definitely much better than a traditional sonic boom but I wouldn't want to listen to it all the time such as regular commercial air flights. It still rattles the windows." A third complained that it alarmed her pet. 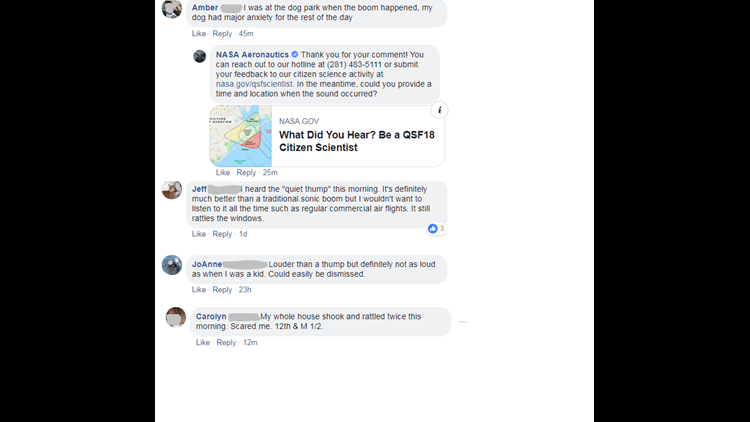 "I was at the dog park when the boom happened, my dog had major anxiety for the rest of the day"
Several people posted on social media claim to have heard the booms with mixed reaction.